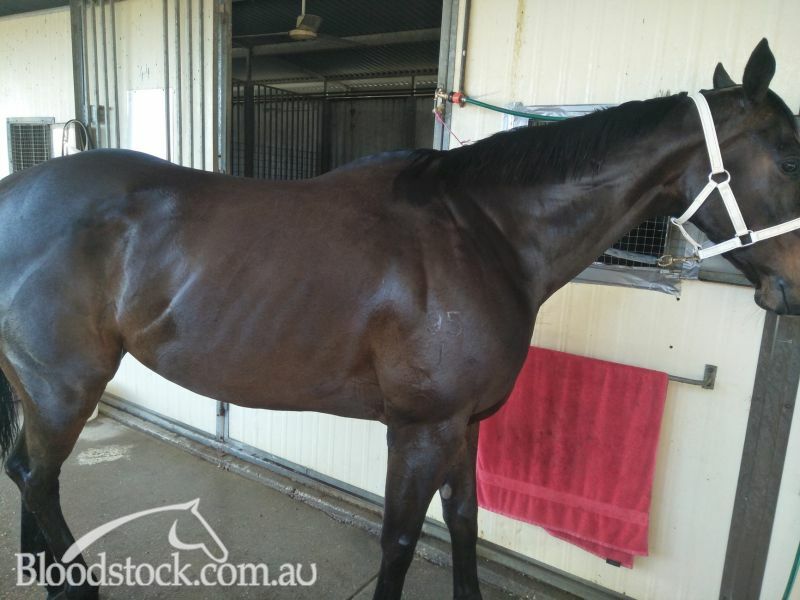 Mateship is retired and makes a great hack or show horse.He would also measure up to being a high standard dressage horse. Has been well handled and in superb condition. Perfect to float and shoe with no vices. He is actually very intelligent and a very easy ride. 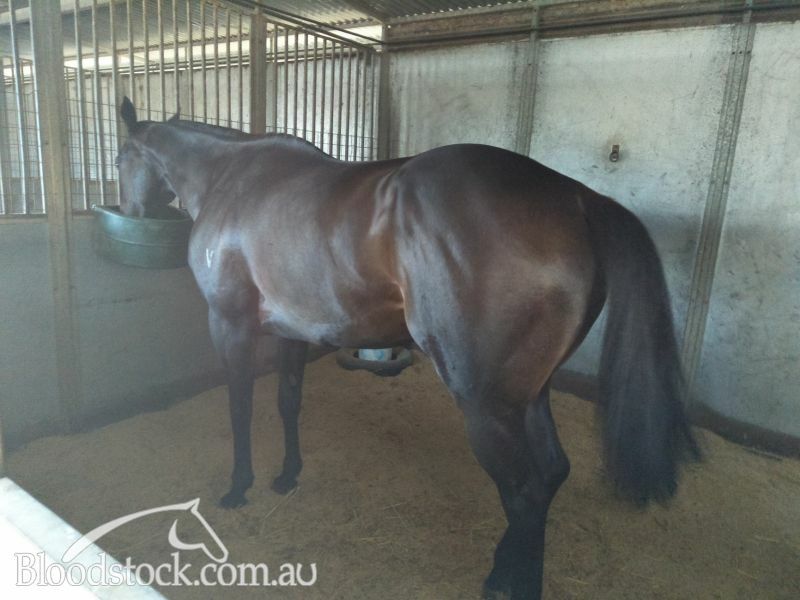 Move fast to secure as he is still for genuine outright sale.Gee he makes a top riding horse for any serious competitor or fun loving riding person.A good home a must or you cannot have him. DUKE OF MARMALADE (IRE) (Bay 2004-Stud Ire/Aus 2009, South Africa 2014). 6 wins-1 at 2, Royal Ascot Prince of Wales's S., Gr.1. Sire of 736 rnrs, 401 wnrs, 37 SW, inc. Simple Verse (The St Leger, Gr.1), Sound of Freedom, Nutan, Big Orange, Star of Seville, Marmelo, Big Memory, Can'thelpbelieving, Traffic Jam, Ming Zhi Cosmos, So Many Shots, Quaduna, Venus de Milo, Wannabe Better, Flower Party, Temple Grafin, Diamond Made, Duchess Andorra, etc. 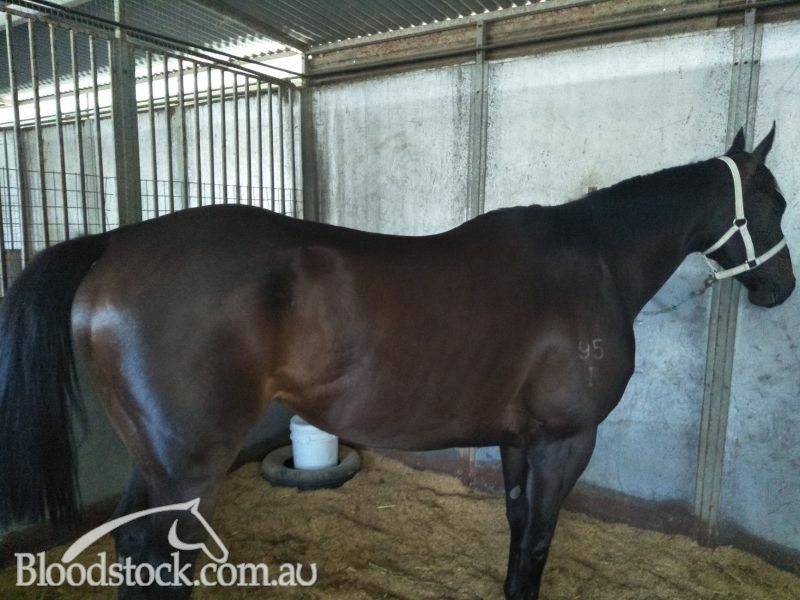 Skillful (g by Al Maher) 4 wins from 1300m to 1650m, A$99,670, ATC Precise Air H., BRC Ubet H., 2d ATC Jamberoo Action Park H., 3d ATC Bowermans Office Furniture H., BRC Queensland Breeders H., Ipswich TC City of Ipswich H.
Oculist (g by Al Maher) 3 wins from 1500m to 1700m to 2018, ATC TAB H., Singapore TC Class 4 H., 3d Singapore TC Class 4 H.
Mesmereyeser (f by Redoute's Choice) 3 wins to 1250m, A$132,525, ATC Bacardi Untameable H., Membership on Sale H., 2d ATC Declaration of War H., 3d ATC Ascend Sales Trophies H., Ranvet H., TAB Iphone App H.
Mateship (g by Duke of Marmalade (Ire)) See below. Macho (g by Danzero) Placed in Aust. Howard Park - Never Stop (Sing.). 8 wins from 1200m to 1600m, A$15,010, S$382,174 in Aust. and Singapore, Singapore TC Class 2 H.-twice, Novice H., Kranji C S.-twice, Class 3 H., Benchmark 67 H., 2d Singapore TC Kranji A S., Australian Jockey Club Trophy, Kranji C S.-twice, Benchmark 81 H., 3d Singapore TC Kranji C S., Graduation H., Graduation S., Panasonic Viera S., Benchmark 67 H.
Amazing Trace. 3 wins to 1200m, MRC Heroic H., MVRC Paulene Maree H., 2d VRC New Year H., 3d MVRC Australian Racing Calendar H. Producer. ZINGAM (g Zabeel) 7 wins from 2000m to 2400m, A$278,500, BTC Chairman's H., Gr.3, AJC Services' Memorial Cup, L, STC Lord Mayor's Cup, L, AJC Sinnjar H., 2d STC Parramatta Leagues Club H., NSW Tatt's RC Club H.
EAGLE ISLAND (c Fastnet Rock) Winner at 2, SAJC Oaklands P., L, 2d MRC Golden Fleece & Court Jester 2YO P.
FAINT PERFUME (f Shamardal) Champion 3YO Filly in Australia in 2009-10. 5 wins-1 at 2-from 1400m to 2500m, A$1,456,290, VRC Oaks, Gr.1, STC Vinery Stud S., Gr.1, VRC AV Kewney S., Gr.2, Wakeful S., Gr.2, AJC Randwick Betting Auditorium 2YO H., 2d AJC Australian Oaks, Gr.1, 3d MRC Thousand Guineas, Gr.1. Producer. ROY HAD ENOUGH (c Pierro) 5 wins-2 at 2-at 1600m, 1900m, R591,594, to 2017-18, Greyville Christmas H., L, Darley Arabian, L, Silverline Panel Beating and Spray Painting S., 2d Greyville Michaelmas H., L.
HATTORI HANZO - LET US WIN (H.K.) (g Sebring) 4 wins from 1400m to 1600m, A$154,800, HK$1,875,325, to 2018-19, ATC Phar Lap S., Gr.2, MVRC Ranvet H., HKJC Maria Galland H., 2d HKJC Cherry H., Wai Yip H., Nurturing Leaders H., 3d HKJC Pak Tam Chung H., Gladiolus H., Shenzhen H., Red Packet H.
AMORINO (g Snitzel) 10 wins-2 at 2-to 1500m, A$776,900, VRC TAB Rewards S., Gr.3, March S., L, MRC Anniversary Vase, L, WATC Grandstand Cup, L, Cyril Flower S., L, Bunbury S., L.
DANESTORM (c Danehill) 5 wins from 1200m to 3200m, A$493,700, QTC Brisbane Cup, Gr.1, MRC Brighton H., 2d SAJC Adelaide Cup, Gr.1, MRC Hillside Track Launch H., 3d VRC RSL H., 4th QTC PJ O'Shea S., Gr.2, MRC Heatherlie H., L.
Danesty (f Danehill) 5 wins at 1000m, 1100m, A$100,430, STC Rohan Trading Company H., AJC Veiled Threat H., 2d STC Triscay S., L, 3d NSW Tatt's RC Carrington S., L. Producer. SHANZERO (f Danzero) 4 wins from 1200m to 1600m, NZ$179,940, Wellington S., Gr.3, ARC New Zealand Herald 3YO H., Counties RC South Auckland Motors H., 2d Te Aroha JC New Zealand Thoroughbred Breeders' S., Gr.1, ARC Eight Carat Classic, Gr.2, 3d Waikato RC Soliloquy Lodge Juvenile S. Producer. WHAT'S THE MAIL (g Flying Spur) 6 wins to 1200m, A$191,225, MRC JRA Doveton S., L, Silenus H., Hussonet at Arrowfield H., 2d MRC Rubiton S., Gr.3. BLIZZARD (g Starcraft) 8 wins to 1400m, HK$15,686,150, 20,800,000¥, HKJC Chinese Club Challenge Cup, Gr.3, Flying Dancer H., 3d HKJC Longines Hong Kong Sprint, Gr.1, Sprint Cup, Gr.2, Hong Kong Classic Mile, L, Hong Kong Classic Cup, L.
DO YOU THINK (g Starcraft) 2 wins at 2, A$141,125, 57,500RMB, ATC TL Baillieu H., Gr.3, Sirecam 2YO H., 3d ATC Roman Consul S., Gr.2. Race Record: 43 Starts 0-5-4 A$38,465. 2nd Queanbeyan Jerrabomberra Hotel P., Sapphire Sapphire Plaster Maiden H., P Kilkelly Bookmaking Maiden H., Goulburn Doyles on the Beach Maiden H., Semco Equipment Sales P., 3rd Albury Coronet Jewellers Country Maiden H., Goulburn Electel Services Maiden H., Corowa Race Club P., Wagga Book Your Wedding Maiden P.